Colonial Communities selects Spherexx.com as marketing, branding, and Web development agent for The Bridgemoor Senior Housing. 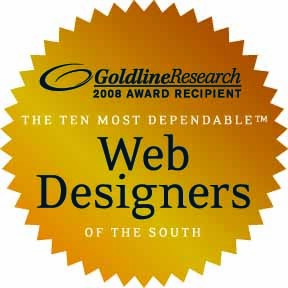 Spherexx.com has been named as Agency of Record for Colonial Communities of Dallas, Texas. The Internet marketing company will not only provide advanced Internet marketing for seven Texas senior housing communities, it will create the brand identity, advertising, marketing collateral, and provide public relations services for the newly constructed, upscale apartments. Established 2000, Spherexx.com is a recognized leader in Internet marketing innovations and web development for the Multifamily Housing Industry, although the company also serves the Mortgage, Healthcare, and Real Estate Development Industries as well. "We are very excited to have the opportunity to promote Colonial Communities and their excellent product," says Becca Wilson, President and CEO of Spherexx.com, "Their progressive service concept offers a lovely apartment home for persons age 55 and over. Residents do not have to pay for services they do not require at The Bridgemoor senior communities. Services such as providing meals, housekeeping, linen, medical, door-to-door refuse removal, and alarms will be available at some communities at reasonable prices À la carte. The communities also have swimming pools, fitness centers, arts and crafts rooms, media rooms, beauty salons and heath centers. All the apartments are single story and many have attached garages, and additional storage is available on site." The National Multi Housing Council projects that by 2015 the largest increase, a collective 2.36 million, in apartment dwellers will be in those ages 55 and older as the Baby Boomer Generation retires. The Bridgemoor offers seniors both a carefree and cared for lifestyle. Residents do not have to relocate because they may eventually require additional assistance with daily tasks. The Bridgemoor web design will include flash animation, Internet coupon, search engine optimization, construction update blog, interactive floor plans where visitors can arrange perfectly scaled furniture in a virtual apartment, interactive and print brochure, interactive rental application, virtual tours, online chat, interactive property site map, and lead tracking customer service management software. TheBridgemoor.com will display current availability for all seven apartment properties. A prospect can easily lease an apartment from the comfort of their home, which will save many seniors and their family members the burden of extensive apartment shopping. The Bridgemoor will also have remote touch-screen kiosks that will share product and leasing information. The new website is published at http://www.TheBridgemoor.com. Spherexx.com clients include Riverstone Residential, Lincoln Property Company, Zom Residential, Tarragon Management, Greystar Management, Sterling American, Urban Financial Group, and ReverseIt.com mortgage services. The company has developed several CRM (customer relationship management) products that allow clients to better manage and convert leads to sales, which are branded under http://www.GotNoVacancy.com ™, http://www.HomeClosingTools.com ™ and http://www.MyClosingTools.com ™. The company provides web-based prospecting, marketing, information management, and support services. Spherexx.com creates logo design, branding, video/multimedia production, and copywriting as well as website & email hosting, remote backup storage, database solutions, pay per click, e-commerce solutions and custom programming. Visit http://www.Spherexx.com for additional information. Colonial Communities, Inc. is a Dallas based, full service senior housing development company that brings together experience and expertise to the senior housing market. Colonial is re-inventing senior housing by setting a new standard of excellence for engaged, active seniors who are seeking community, choice, comfort, and convenience. The company offers an extensive scope of management services including financial and budget forecasting and supervision, the creation and updating of policies and procedures, program development, leadership training and advancement, and daily management of operations. Colonial's single-story architectural style seamlessly blends with modern comfort and support, offering a focus on personal wellness, social interaction, and intellectual fulfillment for all residents. For more about Colonial Communities, visit http://www.ColonialCommunitiesInc.com.